We assisted Boathouse Group with touchscreen app development for their client WBUR, Boston’s NPR station. 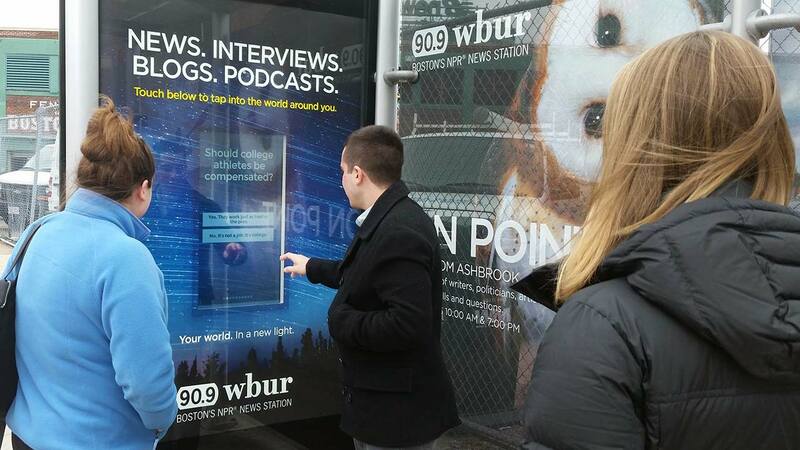 The app is located in outdoor kiosks across Boston and asks users fun questions that tie into NPR programming. Data is collected delivered to NPR to help drive future marketing initiatives. Starting your project is just a few clicks and keystrokes away.